2 years ago when our club, Lions Club of Mombasa Bahari had a medical camp in Malindi, the non medical members went to a school in Watamu for a social activity. After handing over the goods and spending time with the girls, we decided to go to Watamu town. Its lunch time, we are thirsty and hungry and there are not many shops in the tiny town. An italian cafe was selling smoothies so we all thought brilliant. A smoothie will take care of the hunger pang, quench our thirst and it will be fresh and filling. Much to our disappointment, the smoothie was like a juice, watery. Smoothies are usually made of fresh fruit with milk, cream or yogurt or chunks of ice. Its thicker than a milkshake and more slushier. 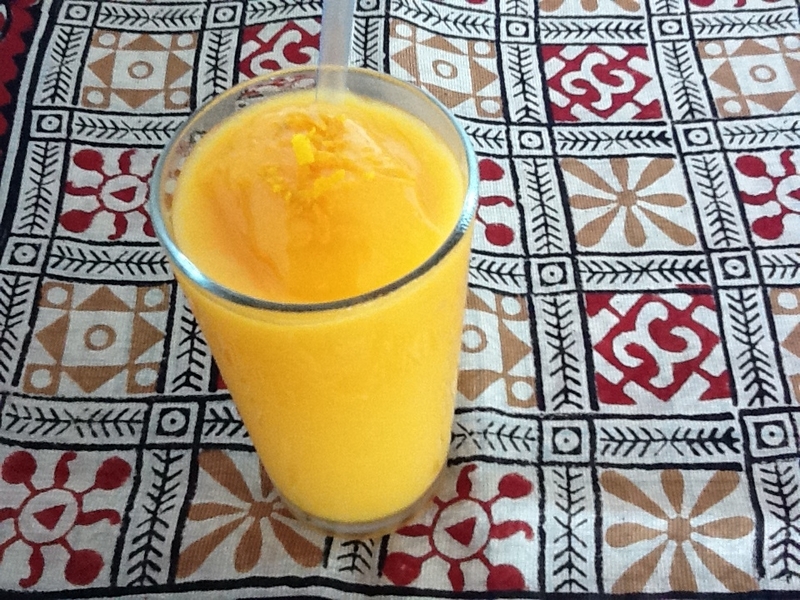 With an abundance of tropical fruit at the moment and the sweltering heat, its time to have a smoothie. 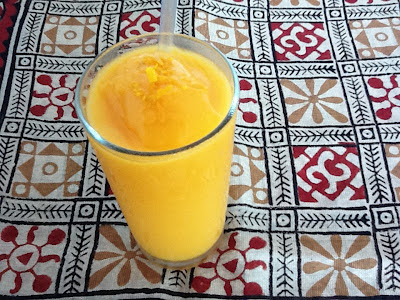 I had oranges and mangoes and within minutes a cool thick drink. Peel and cut a mango into tiny cubes. Put it in a freezer bag or container and freeze it. Squeeze some orange juice and leave it in the fridge to chill. Put all 3 ingredients in a liquidiser and process it till the cubes of mango are crushed. Always have some fruit ready in the freezer to turn it into a smoothie. Try mango banana smoothie. Add the frozen fruits to some milk or yogurt. Smoothies are excellent as a light lunch option.